How to Answer the Salary Question. Do you truly deserve more or less? The question every interviewee dreads usually comes close to the end of an interview. The salary question is often mentioned, as charities need to know if they can afford to pay you before hiring you. The proposed question also answers several other questions – whether you are willing to settle for anything or whether you see your contribution to the charity as worthwhile. What do you do in this case? Grasp the tips and scenarios below to make sure you receive what you envision. Tip #1: Do not ask how much you will make before or during the interview. Employers will suspect you are not truly interestedd in the work – just the pay. Tip #2: Research the salary range of your targeted role within your area. If possible, research the organisation as well – can they go over their budget to include you on their team? Tip #3: Make yourself stand out with your skills, education and beaming personality. Be honest, are you worth what you think you are worth? Tip #4: Try to delay answering the question, if possible. Tip #5: When you are asked, do not mention a lower number than what is the base rate for your role. Employers will either agree on that rate, leaving you happy you have a job but unfulfilled because you are now stuck with a low rate. Or the employer will decline that rate and your employment because they feel you do not value yourself. Tip #6: Do not name a price that is too high. Unless you are so qualified that a multitude of employers are reaching out to you to work for them… no one will pay you higher than needed, unless you are unmistakeably one of a kind. 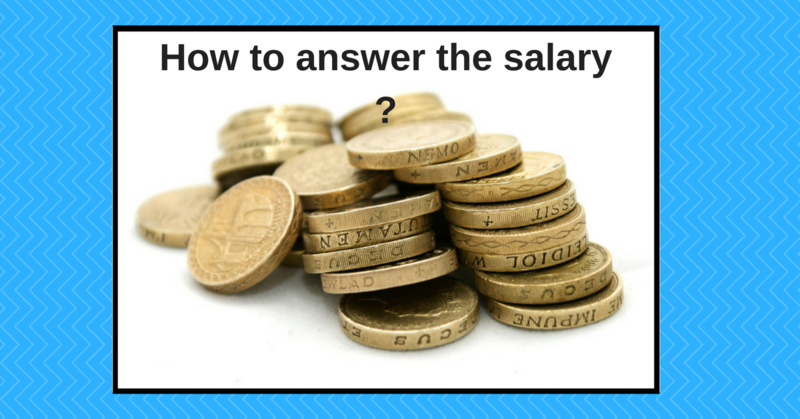 Tip #7: When employers do tell you the salary range – do not negotiate the compensation. Instead, ask if there is room for growth in the company. Tip #8: When asked salary expectations on a job application, do not leave it blank. You: I am looking for a job that is fitting, yet competitively fair. According to my research, employees in Glasgow are offered a salary of £30,000 in this position. We may agree on a salary together if needed; is there a particular salary you had in mind? Interviewer: What was your previous salary? You: The role at my previous job was very different from this role. I will be able to provide a more sufficient answer when I know more about what this role entails. Interviewer: Can you give me a numerical range of your previous salary? You: I would appreciate it if I could keep this private – my current employment arrangement requests that I keep this confidential. OR My current salary is in the range of £___ (provide your current salary as a base and go up another £10K). Interviewer: Unfortunately, my budget does not support the rate you mentioned. Are you willing to accept a salary of £40,000? I am willing to consider, as I am passionate about the work you do. I am assuming the salary is fair and matches the responsibilities involved? Having a job that pays you well is motivational – to work hard to keep the job. Having a job that underpays you leads to decreased job satisfaction and productivity, increased stress and over time contributes to an overall nonchalant attitude. In the case of answering the salary question – know your worth and be able to prove it. Bruce Tait is the creator of Charity Careers Scotland, an affordable easy to use jobs board built specifically for charities and those looking for work in the voluntary sector in Scotland. He has worked in senior positions in the voluntary sector for over 25 years and has recently been named as a Fellow of the Institute of Fundraising. Over the last 10 years, he has successfully recruited great staff for charities throughout the UK, Ireland in Canada.